Very exciting news this week! 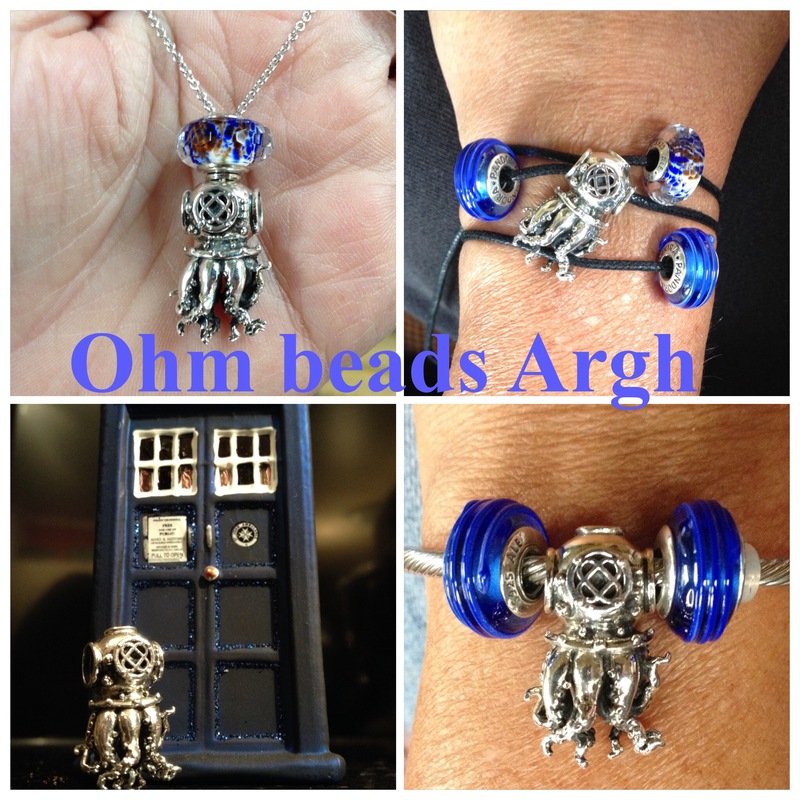 Ohm beads is releasing Baby Argh! This won’t be a limited edition. Preview is this friday July 21st (00.00 Seattle time)! So keep watching social media for the first pictures! Many requests were made to do another Argh. So I will review Argh today! 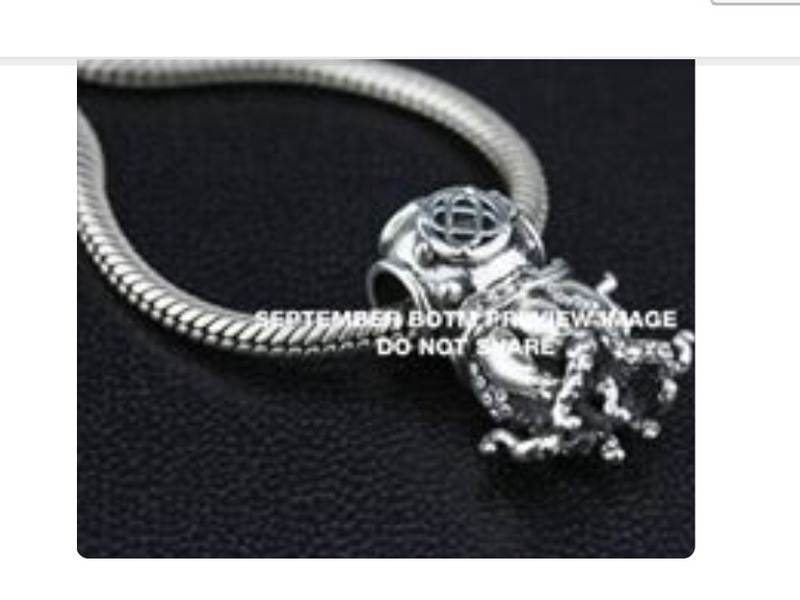 Argh is Bead of the Month September 2015 for Talk Like a Pirate Day celebrated on the 19th. 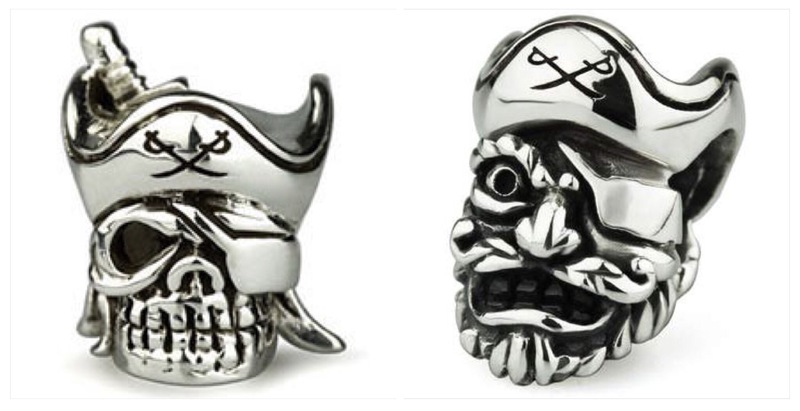 Ohm beads released Arrr in 2013 (left) and Ahoy in 2014 (right) for this holiday. (Ohm beads stock photos). The first glimpse I had was this picture Mike Ohm sent me. The bead came inside a wooden box with an awesome skull and dagger design on the top and a cord to anchor the bead on. Only 222 were made, this is number 175. It is a big bead, made to wear both on a bracelet or on the ball chain necklace. It has a hole in the top to put the chain through. This is the first, smaller Ohm beads ball chain necklace. 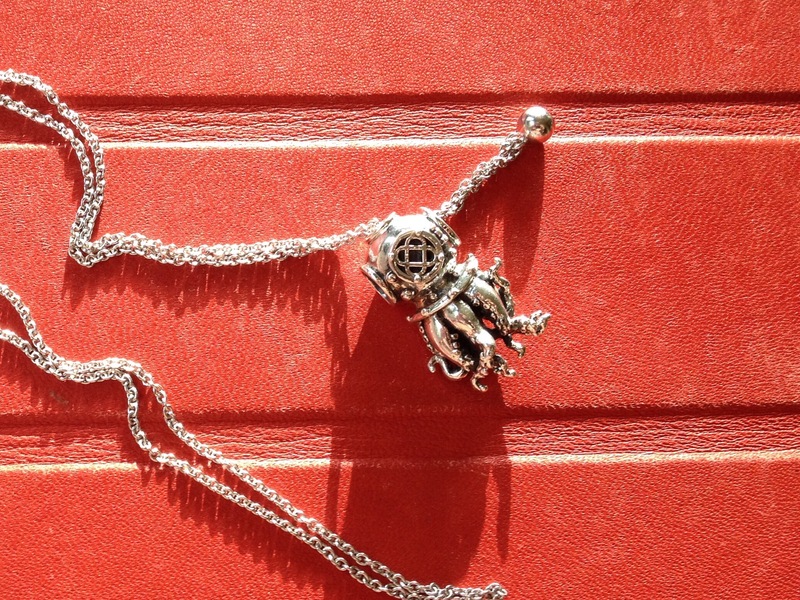 It has many possibilities on the ball chain necklace. 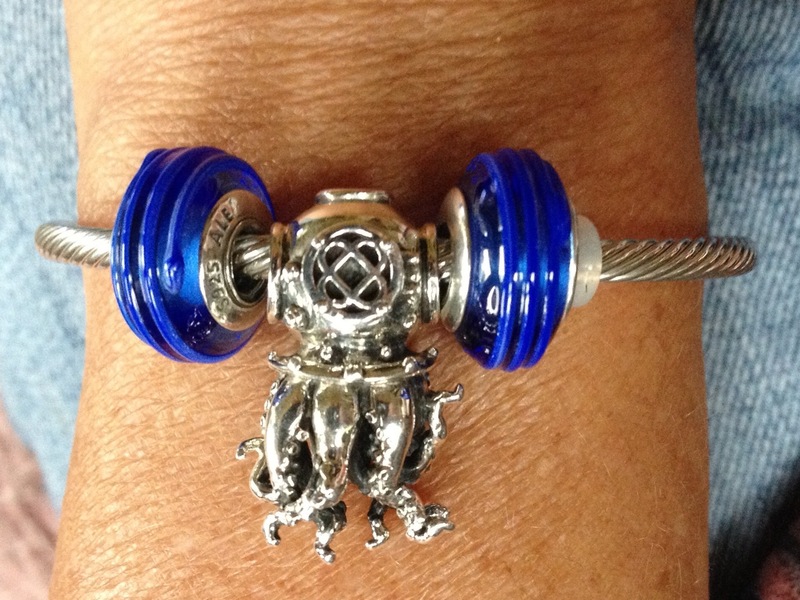 And on a bangle with two Pandora muranos. 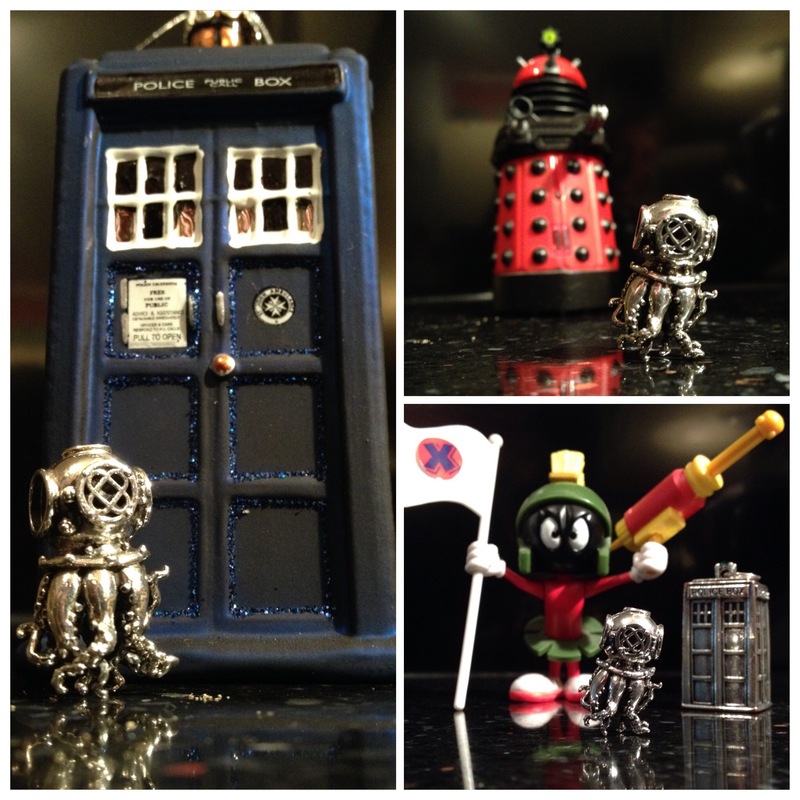 I had some fun with Argh when the new series of Doctor Who started. 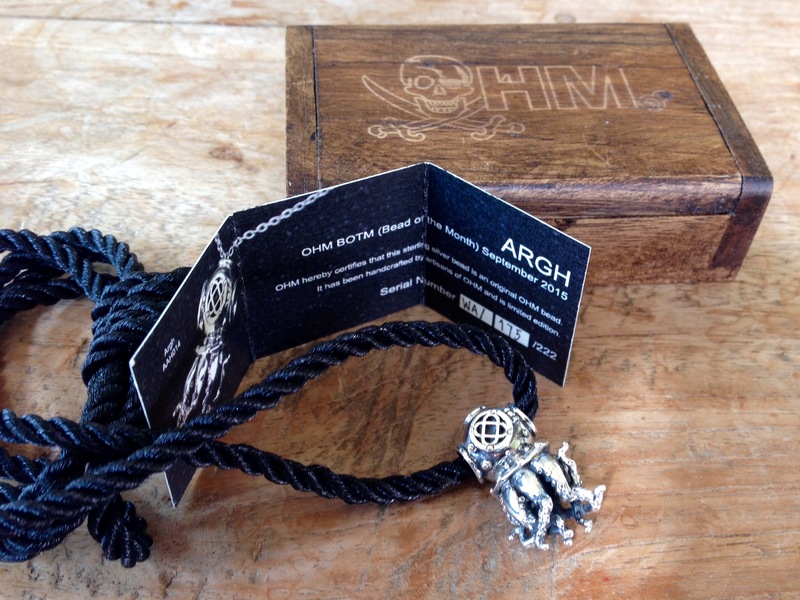 When wearing Argh on a bracelet or bangle he flips over, so I came up with the idea to wear him on a cord, tucking his tentacles in to keep him flat on my wrist. Here he is with Pandora seaglass and ribbon muranos. 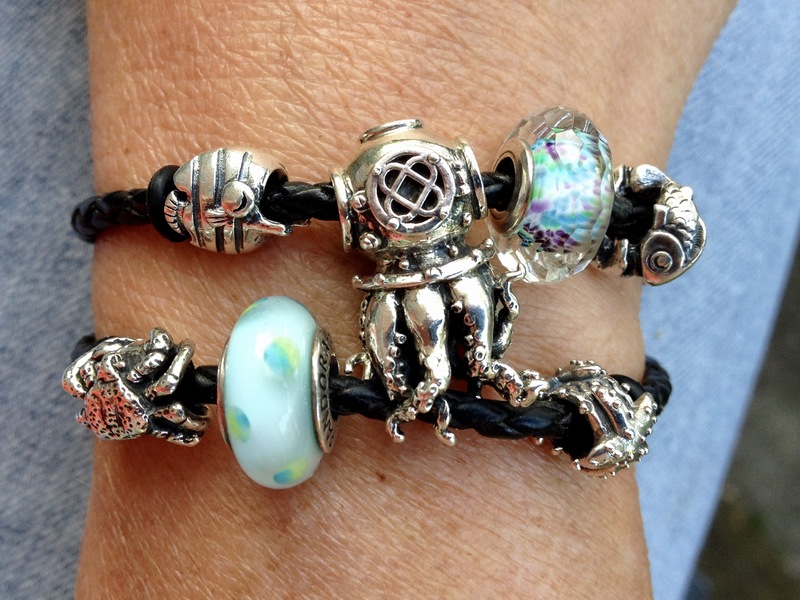 I transferred this idea to the Pandora double leather bracelet and after slowely adding more sea creatures I am so happy with the result! 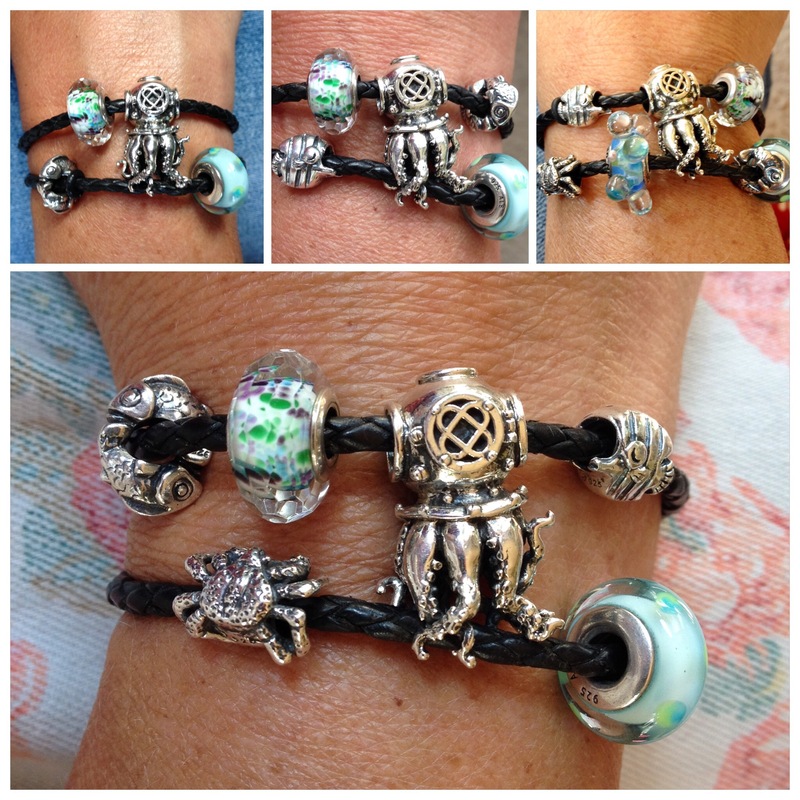 Deap sea fun with Ohm beads Striped Sailfish (top left), Trollbeads Happy Fish (top right), Ohm beads Alaska King Crab (bottom left) and Ohm beads Star Fish (bottom right). And two Pandora muranos. I can’t wait for Baby Argh! He will be released with the September release on September 1st together with Ohm rings, Unicorny LE glass and the Yellowstone collection. Ohm is also doing a custom order only release called Chi Chi Sticks 2.0! Many exciting thing to come! 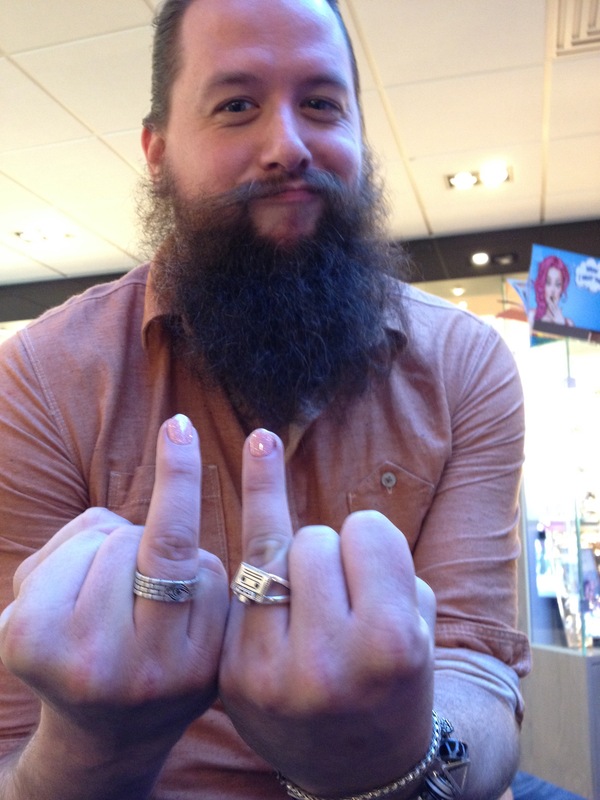 To finish of here is a sneak peek of two of the rings released in September, gracefully modeled by Mike during the Meet & Greet last month in the Netherlands! Update: here is baby Argh, together with Argh! 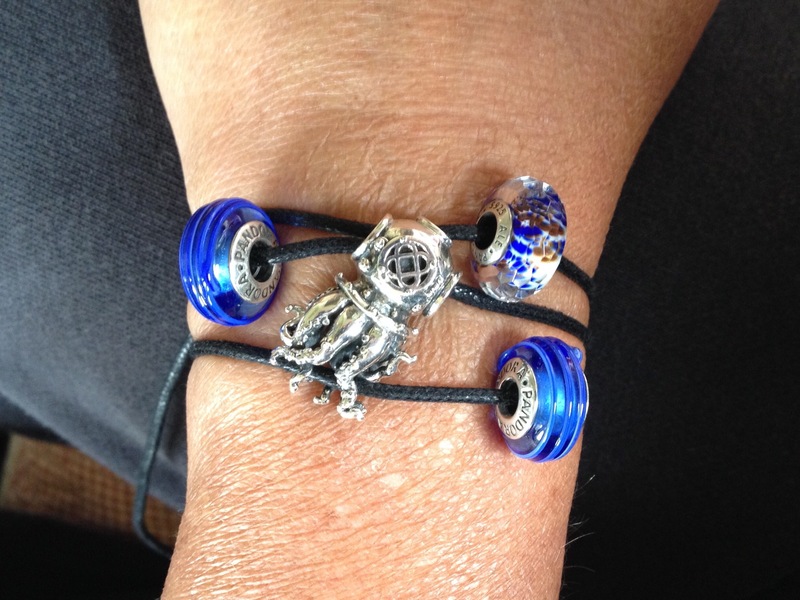 I am already reworking my bracelet to fit him in! Very cute!! Leuk om te lezen Trudy! 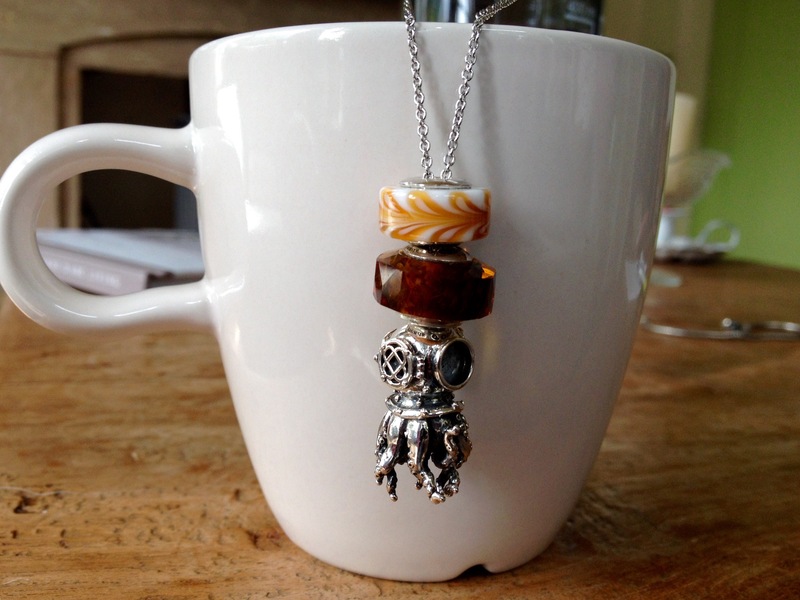 Ik ben erg benieuwd naar de unicorny en Yellowstone beads…. Ooh, ben benieuwd! Die zijn erg mooi! 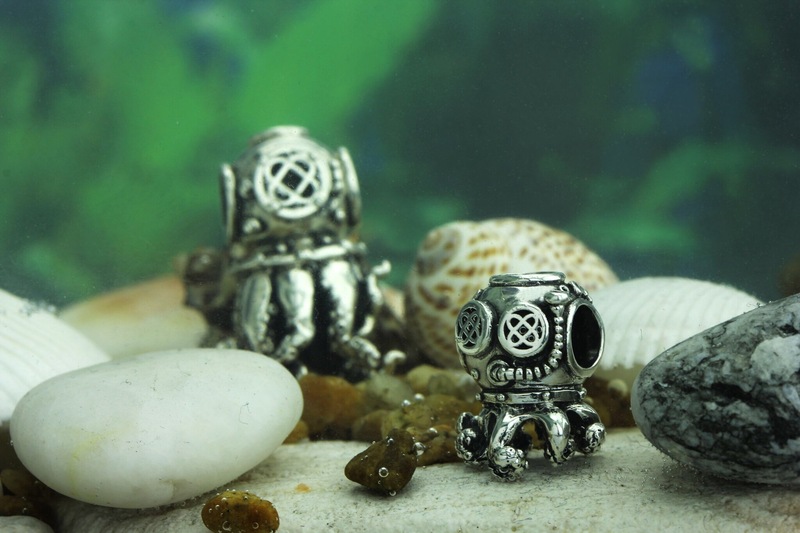 ← Ohm Beads Meet & Greet ft. Mike!